This book is not free of agenda. It is an act of resistance. God is greater than any politician, political system, or nation. And now is the time for people of faith to act in tangible, costly, and courageous ways. This book calls upon Christians to live into wisdom, prudence, compassion, humility, and discernment, to pursue the heart of God’s kingdom vision: a society in which all are valued as individuals bearing God’s image. 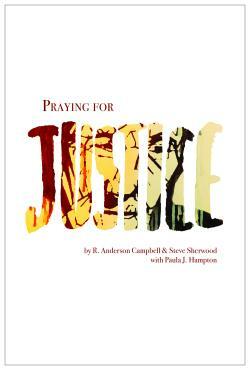 The title contains an invitation to pray for justice, but this book contains no overt prayers. Many of the more than fourteen hundred Bible passages contained here are prayers or portions of prayers. To read these texts is to be invited to join in prayer. The quotations that we have included are unapologetically Christian. With the exception of one or two, all are penned by people of the Christian faith, who have spent their lives thinking about, working for, and telling others about a God whom they believe to be radically on the side of the weak, vulnerable, and marginalized. This book invites us to use each day’s verse as a meditation or reflection for that day and each week’s quotation as an examination of the ways in which your life images God’s redemptive justice in the world. This book is also a call to action. Now is not a time for Christians to sit and trust that others will take care of people on the margins of our society. Christians must not content themselves with mere social media activism or personal piety. Christians must act often. Christians must act publicly. Christians must act sacrificially. Christians must act with courage and compassion. Christians must act as if it matters—because it does.